Family mediation comes in handy whenever a family is facing the significant risk of parents separating or divorcing. Aspire Family Mediation Service offer high quality trained professional mediators, Contact us today! Family mediation comes in handy whenever a family is facing the significant risk of parents separating or divorcing. The effects of the divorce are usually felt for a long time especially with the children having to be separated from one parent or even both. Through the help of a well-trained unprejudiced mediator, the family can make imminent arrangements for themselves and the family and children as well as converse at will. Here are some four reasons why mediation is essential. By the use of mediation, the families can have a place where they can face each other address their issues face to face or through the mediator. The mediation process of the family helps all the parties involved to avoid having to spend so much money by hiring attorneys. It also prevents them from having to face each other in family courts in never-ending legal battles that just strain the family relationships more. The primary cause of a separation or divorce is the conflict between the two parties involved, the parents. If the situation is not solved and the parents separate, a more significant rift ensues between them leading to children being left in turmoil. Mediation process provides a solution to this since the parents and children can now come together and think about the future of the children or even solve their differences minimizing this conflict. In one of the mediation websites, a grandmother expresses her joy in efforts made by the family mediation sites in bringing the family together. She talks about how now she can see her grandchildren more often. Mediation brings out the best out every situation in such scenarios. The ability of the family to express the issues, grievances, concerns, and difficulties they face helps the family to come together to something meaningful eventually. By ensuring that a third party is available to listen in on the issues without judging or taking anyone’s side, the parents are helped to partner in on various things concerning the children. In so doing the parents come up with real solutions that will help plan on a brighter future for children and everyone involved. I’m forever in debt to Aspire Family mediation, my life semmed over but the mediators here brought it back from the brink of ‘the end.’ Thanks you so much Aspire. I dont know what I would have done without mediation if I would have lost my Son for such petty issues. When I and wife decided to go through with the divorce, we knew it’ll be one hell of a ride. But thanks to Aspire Family Mediation service Luton, instead of being a nightmare, the procedures went smoothly and a lot of drama was avoided. I recommend Aspire mediation services to everyone who wants smooth divorce proceedings. I am more than satisfied with their services. I will always be happy for the mediation services of Aspire Family Mediation. I am so impressed with their work that now I have started referring their name to anyone to who needs a family mediator. I’m really thankful to Aspire Family Mediation MK for helping me at the time where no one was around me. You are doing a great job guys. I am very thankful to my sister for recommending me this brilliant mediation services. Aspire Family Mediation Services not only helped me get rid of issues hanging over us but, I also got a plan for the future. I was thinking to get separated from my ex as we both were not happy being together. Aspire Family Mediation helped me by not taking the matter to court and solving it by considering our request by ensuring 100% impartiality. When I found about my wife’s affair, I immediately called Aspire Family Mediation for help and thanks to these people I got sorted without much hassle. My ex and me were not exactly happy with each other. After just one session, most of our differences were solved and now we are regularly in touch with each other around our kids. Aspire Family Mediation helped me in resolving conflict and reaching agreement on all issues surrounding my separation. I would definitely recommend it to anyone in need. For the best services Aspire Family Mediation MK is just the perfect solution. All my disputes were solved quickly and I got what I thought was ideal. We had been searching for a family mediation service in town but couldn’t anyone to return my calls. But we got to know about the reliable services of Aspire Family Mediation and we were happy that we chose them. I was looking for a mediator who could help me with getting separated disputes from my ex. I wanted to conduct this whole thing peacefully. Thanks to Aspire Family Mediation Thame for helping me to get out of this matter nicely. When I and my ex-wife decided to get separated, we were really worried about our little daughter, but I am thankful to these people, they helped us with arrangements. I never felt any issues through my divorce process, thanks to the mediation provided by Aspire Family Mediation. Now I feel like were moving forward. Aspire Family Mediation helped me get things back on track, the case of which was stuck from a long time and I thank them for helping us. Not only they made my divorce process quicker, but also easier. Thanks to Aspire Family Mediation for helping me through the hard time. The mediators at Aspire know their job perfectly. I would have never been able to save a penny for myself after my divorce if it weren’t for them. 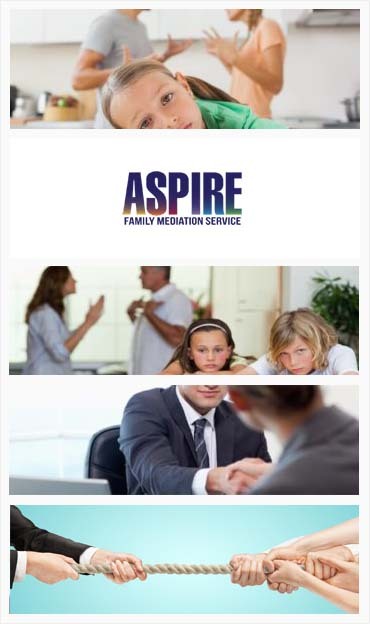 I got to know about Aspire Family Mediation and their services from searching online. I am so happy that I got in touch with them as they completely understood my situation and helped me to get out of it successfully with mediation. I was not in a peaceful condition during my divorce, but Aspire Family Mediation Northampton made this possible for me to have a solution. Aspire made both of us realize how valuable and precious our children are and must not be effected by the breakdown of our relationship Thanks aspire for showing is the right path again. Thanks to Aspire’s intervention our money is saved. Otherwise we were just one step away from signing the papers for court. Words are not enough to convey how grateful I’m to the mediators at Aspire. I wanted an unbiased result to be taken for the property division between me and my husband. Thanks guys! Couldn’t have been possible without you all. Aspire Family mediation helped me to reach my own agreements about all aspects of my separation. They guided us with all the empathy. I give 5 stars to Aspire Family Mediation Services. Although me and my wife were going through a divorce and things were bad, I couldn’t have hoped for smoother proceedings without Aspire’s help. I had been facing a lot of issues regarding the marital property. My family members had been hassling me regarding this issue for a long time. Thanks to Aspire Family mediation for showing me the way to get this done quickly. The help given my Aspire Family Mediation enabled me to get a MIAMS quickly and easily. We decided to get separated but, our main concern was the future of our kids. With the help of Aspire Family Mediation we found out a common solution and now we are not only living separately but, future of our children is also secured. I was not sure about taking help of any mediation services but, when matter got out of hands with my business partner, I asked Aspire for help and thanks to them I broke the partnership and also got my share. Aspire Family Mediation introduced us to the process of family mediation. We never thought that we would get our children issues sorted without going to the court. The credit for this goes to Aspire Family mediation. After my divorce everything started to fall apart in my life. My friend asked me to take the help of this mediation service and after just one meeting I started to feel better. All I can say that if you’re going through hard times in your life, then you must give a call to Aspire Family Mediation for help with child issues. Due to various reasons I and my husband started to drift apart then, our common friend suggested us Aspire Family Mediation services. In just a single session all of our issues were resolved and now we both are happily living together. These people are aware of legalities associated with divorce or separation but the best part is that they are also very good in handling sensitive issues. Mediators were all experienced and supporting people who helped me find the best solutions for our children. Thanks are all experienced in supporting people during difficult times. I wanted to end partnership with my business partner but, I was really feeling uncomfortable as we have been close friends for almost a decade but, after recommendation from my dad, I consulted Aspire mediation and thanks to these people we ended our partnership and still are good friends. Aspire Family Mediation will charge an affordable fee for their services. There was not even a single instant when I felt that I am paying too much. But now I am happy that it was all worth it. It was getting really hard for me to interact with my in-laws but thanks to Aspire family mediation services, our differences were resolved and now we regularly meet with each other. I like their professionalism and personally suggest it to everybody who’s going through a difficult phase like separation in their life. Aspire Family Mediation reduced conflict, and helped us stay in control of arrangements over children, property and finance during my divorce. I was saved from all the hassles of going to court, thanks to Aspire Family Mediation for making my separation as less painful as possible.